As many of you are probably aware, I love playing games. I think that is one of my main characteristics. I have always enjoyed games and always seek out new ones and a chance to play them. I don’t particularly have a favourite type, i will play anything from video games to board games and of any genre, racing, strategy, first person shooters and more. Yes obviously I have favourites…but in general I’ll play most things. I have played games much the same way since I was younger but just recently there has been a change in my game playing habits. I’m going to have a look at that and why that has happened. Way back at the beginning I had a NES and a SNES and I loved them and it was great. I will never forget leaving my SNES on for over 24 hours just so I could complete Super Star Wars as it had no save system. Back in those days I had a real passion for platformers and puzzle solvers, playing Lemmings, Earthworm Jim, Star Wars, Puzzle Bobble and the like. I also dabbled with RPG’s which is started to develop a taste for. As time went on new systems were introduced, we got a family PC and my sister received a PlayStation One for Christmas (I was so shocked and disappointed that it was hers, not ours or mine. She didn’t even really play games). With the new technology came new games, I moved on. 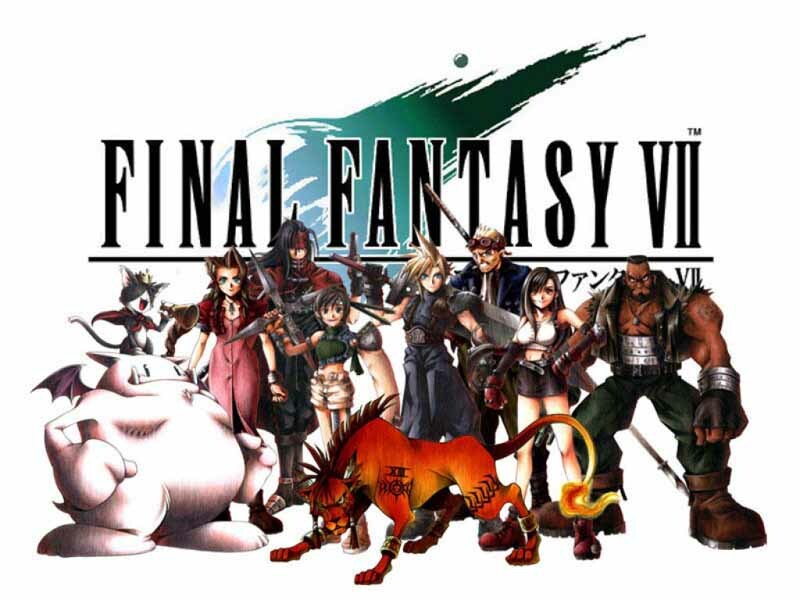 I discovered the wonderful world of strategy games on the PC, not before a stop off at the Magic School Bus ;-), platformers and RPG’s stayed constant with me eventually acquiring Final Fantasy VII for the PS (this remains one of my favourite all time games.). This was the time that I shifted well and truly into games. I enjoyed games, I liked the story telling, the mechanics. I revelled in solving problems, figuring out quests and beating my opponents. This stuck with me as I grew up, I never moved on. I played games with friends or I played games on my own, I didn’t care as long as I was playing. The next major stage was the acquisition of my PlayStation 2, on release day. Although I didn’t really use it till about a year after, the launch titles didn’t excite me. I don’t want to think about the countless hours I have ploughed into the box of electronics. It was an exciting time for games with a lot of them coming out and I played as many as possible, I still played my usual sample but also branched out into the racing and sports genre, as they had good multiplayer potential and a lot of my friends played them. All the time I played games on the family computer, highlights include Age of Empires, Medieval: Total War, Machines, SimCity and Total Annihilation. I found myself using the PC purely for strategy and simulation games (that’s a lie i played Turok as well). I even managed to rope my family at times. I was furious that my dad worked out the secret to a successful SimCity 2000 city before i did! This all changed in September of 2011, I graduated from University and decided to reward myself with the purchase of a proper Gaming PC, I had never had one of those, making do with a cheap laptop throughout Uni (I always attempted to optimise my game playing potential when picking a computer though). My new PC was fantastic! I could play anything, all the PC games my laptop couldn’t run now became available, services like Steam made it easy to get hold of them and I played furiously! I would even go so far to say that i had too much, every waking moment I was playing stuff and to this day my console has fallen by the way side. Although this may be some sub concious value for money thing. This was spectacular for the first few months. Games like Skyrim, Civilisation V, Shogun 2: Total War absorbed as much time as i could spare, and then something changed. A group of my friends had discovered it, this game is a DOTA clone, it’s a copy of an old mod for Warcraft 3. Essentially you and your team select a hero each and you do battle in an arena with another team, first team to kill the other teams base wins. No story progression, not complex puzzles to solve, no grand strategy (people with argue with me on this) just you 4 other people manipulating your champions and their abilities to best the other team. Of course there is strategy, what stat augmenting items do you buy, when do you engage, which heroes make a balanced team but you aren’t trying to design a transport network or plan a countries military strategy. Usually this game would not interest me, perhaps hold my attention for a week or so but in the last 8 months or so i have logged more than 685 hours of gameplay, that’s 20 hours a week! So what has lured me into spending to much time playing this game. Well having I think about it and looking at my normal game playing habits, it’s the social aspect. Whenever I am playing League of Legends I am on Skype to at least one other friend, usually 2 or 3. This is the really appealing aspect. We can chat about work, things in the news, recent games tournaments results all while playing my game. It’s like going out for a drink, well without the face to face bit or the alcohol but you get the idea. No longer is it just me and the computer. Gamers have an unfair stereotype that they are all unsocial, live in basements and just eat pizza, but that’s completely untrue in this day and age. I spend several hours each night on Skype to at least 2 or 3 friends…if I don’t it’s usually because I’ve gone out to see other friends. I think that is far from unsocial, and this has what has hooked me, I like talking to people and I like games and I can combine this. I think this is why I have recently got back into board games. This is obviously not just applicable to League of Legends, I do the same thing when I play Team Fortress 2, Starcraft 2, DOTA 2 and so on. It’s not a new thing either, communicating while gaming has been around for an age! BUT, it’s the first time I really have done it. This has now affected my other game playing habits, i now find it really difficult to play single player games on my own. Just doesn’t feel right, I recently played Bastion (60s Review coming very soon) and I played through it all while having a conversation with a special lady via Skype. Not sure if I would have stuck with it if I’d have been on my own. This has been a big revelation to me, it’s why over the last few months i’ve tried several free to play MMO’s with my Friend Fred (go read his blog!) because we can sit and chat on Skype while playing games. I still play single player games, don’t get me wrong but I have now moved to a stage where playing with other people makes a game more appealing. These is a possibility that now I’m older I am finding the single player experience less rewarding, so I am looking for something else to add to a game, it will be interesting as a couple of big games are coming out in the next year or so, and these don’t look to include much time for Skype based multiplayer, so I will be interested to see how much time I plough into them. So there we go, i’m playing much more social games now. You should totally join me, we can chat and game and stuff. Just get in contact and we’ll play together. Also if you are interested in League of Legends (and you should be it’s a great game to play with friends) then let me know before hand, I can send you an account invite, we both get some goodies SO e-mail me or leave a comment and I’ll sort that. Let me know about your gaming habits, would be interesting to see if anyone else has had a similar experience, or even gone the other way.